So, as I’m prepping for Trash to Treasure Thursday I have to admit that I’m a little disheartened that we haven’t received more entries in our Reuse Your Box photo contest. What could be the trouble I wonder? 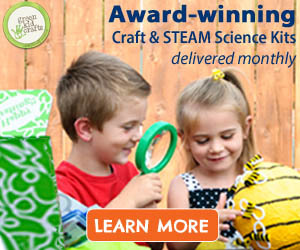 The prize is amazing (a free six month subscription to Green Kid Crafts, worth $117)! I know you all have boxes since you can use either a Discovery Box or any old box. 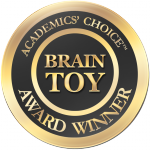 Then it occurs to me – maybe you’re following Green Kid Crafts because you love that we do all of the creative heavy lifting! Maybe you’re more practical than craftical! No reason you can’t put yourself in the running for the free six month subscription. Frankly, you probably need it more than anyone right? Find a project that appeals to your practical side (or any side) and send us a photo by this Sunday, August 19th to enter. We can’t wait to see what you come up with! Yes, furniture. Who would have thought that an empty cardboard box could be sturdy enough but sure enough it is! This will save you hundreds, and look adorable in your kiddo’s room. It’s even sturdy enough and can be good looking enough for grown up furniture too, but you may need to use a little more creativity for this one. Instructables.com has an amazing post that will make your jaw drop. We came across this one on TheCraftyCrow.net – what a great idea for crayons and other craft supplies. But it got us thinking… what about making a stand to hold ice cream cones, kabobs or popsicles! I’m sure a little wax paper or mod podge could do the trick! Older Meet the newest member of 1% for the Planet!